In-store events are not only loads of fun; this is an excellent way for pet stores to promote themselves while attracting new customers and showing appreciation for existing clientele. Here are some tips for successful event planning. The launch of a new product you have begun carrying, etc. You might actually consider planning your in-store events during the slow months when you need to generate more store traffic. For summer, you could host a "Dog Day Afternoon," that might include hot weather treats, a doggie pool (if this is logistically feasible), prizes for dogs who show up in the best pooch swimming attire and so on. If you have decided to carry a new line of pet clothing, you might host a doggie fashion show, and invite some of your four-legged customers to perform modeling duties. As we all know, people love to show off their pets! The possibilities for fun themes are endless. Just use your imagination. Be sure to include special discounts and giveaways to entice your customers, such as a percentage off of pet foods/treats, free pet treats or an in-store drawing for prizes of pet toys, just to give some examples. You could also ask the products reps you do business with to offer in-store products promotions. 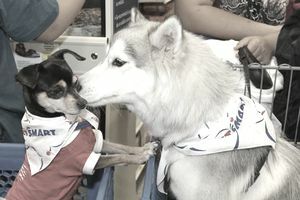 A lot of pet food companies will set up tables in pet stores and offer free samples of new pet foods to customers. So it's a win-win for everybody. In addition to advertising your events the old-fashioned ways, such as by handing out fliers in your store and posting them around town, placing an ad in your local community newspaper and such, this is where the Internet comes in handy. It goes without saying (but I'll say it anyway) that you should always promote any in-store events on your website. If you have a social media presence, you should promote this non-stop on your Facebook, Twitter, Pinterest and whatever other such pages you have. Be sure to post lots of pictures of customers with their pets after the event, which is a great way to show customer appreciation and remind them of the great time they had. And don't forget about your newsletter, if you have one. I would suggest giving notice about your event about two weeks in advance via that medium and continue to include reminders right up to the day of the event. It is also a good opportunity to include discount coupons in the newsletter for customers to bring with them to the event. Not only will this give them an added incentive to attend the event, but this is also a good way to determine who is paying attention to your newsletters. Once you have the hang of hosting events, it would be a good idea to host them consistently on a periodic basis. Depending on your schedule and resources, you might host particular celebrations throughout the year, every year, so that your customers can have something to anticipate and look forward to. If all goes really well and you have the right facilities, you might even consider launching pet birthday and other types of pet party services as a sideline, as a way to diversify your business. No matter what kind of event you host, the focus should be on everyone- pets and people- having a great time. The more fun they have, the more likely they will be to spend time in your store and subsequently spend more money. Your guests will also be much more likely to come back to your store on a regular basis.